IF YOU COULD GET A LITERARY TATTOO, WHAT WOULD IT SAY? 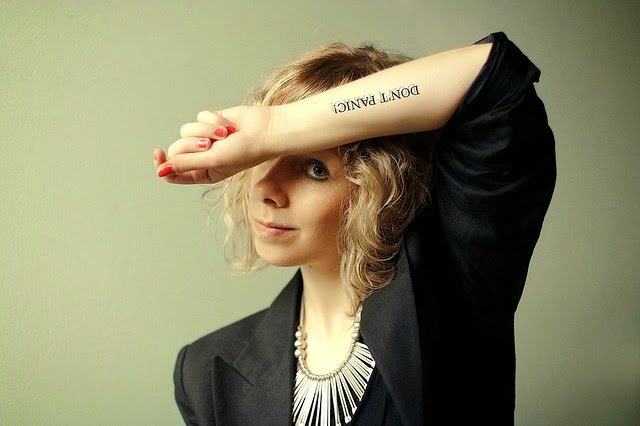 Alyssa Hamilton: Well I have two book related tattoos already, the first one is an actual book on my right wrist. The second is the quote "Books Fall Open, You Fall In" on my collarbone. I've been thing of more that I want because tattoos are so addictive. Recently I read The Sky Is Everywhere by Jandy Nelson and I feel like I could have the whole book tattooed on me and it wouldn't be enough because there are so many beautiful quotes out there. I've always really wanted some form of the butterfly shawl scene from Daughter of Smoke and Bone by Laini Taylor as a tattoo. Martina Boone: This is a toss up: I love this one from Oscar Wilde: “The books that the world calls immoral are books that show the world its own shame.” I also love “Words have the power to change us,” from Clockwork Angel by Cassandra Clare. If I put a quote in a tattoo, I’d want the words to stay readable and beautiful forever, so probably the inside of the wrist would be the place I’d choose. Jan Lewis: "Winter is coming" from A Game of Thrones by George R. R. Martin. Across my upper back. I've wanted to get it for like 10 years now... one of these days. And my heart echoed in rhythm: Thump. Thump-th-thump. YOUR TURN: Do you have a literary tattoo? What is it and where did you ink it? If you don’t have a book tattoo, what would you get? The quote I want to get isn't from a book (or maybe it is). It's from Walt Disney: If you can dream it, you can do it. Were I to get a literary tattoo, it would probably be "Now is the winter of our discontent." That would give me both Shakespeare and Steinbeck in one. Where? Someplace that wouldn't hurt! I love the idea of using "Love is an element" from Daughter of Smoke and Bone. She’d only done what any woman in love would have done. Every damn thing she could. I don't have one yet, but I will. I plan to get the word beloved in script lettering on my wrist with a pen coming out of it. It has double meaning for me. It's a reminder that I'm God's beloved and He's the author of my life. And, of course, the pen is a symbol of my writing career. I have a literary tattoo and always think about getting more :) My current tattoo is 3 red/gold stars on my shoulder. They represent the Star-Bearer's 3 stars on his face, harp, and sword from Patricia A. McKillip's Riddle-Master trilogy.